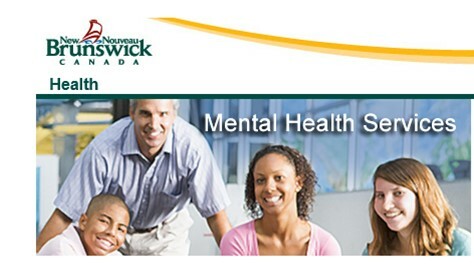 Mental Health Services oversees the operation of 14 Community Mental Health Centres, and administers purchase-of-service contracts with regional health authorities for eight psychiatric units, one child and adolescent psychiatric unit and two tertiary hospitals – the Restigouche Hospital Centre in Campbellton and Centracare in Saint John. Integrated Service Delivery (ISD) for children and youth with emotional, behavioural, and mental health issues. The Integrated Services Delivery (ISD) approach involves close collaboration among team members and participating departments (i.e. Education and Early Childhood Development, Social Development, Health, Public Safety, school districts and regional health authorities). ISD Child and Youth (C&Y) Team members work closely with student services staff in schools. A variety of services are available, and may be delivered in schools and community settings. Kids Help Phone is a great organization where youth can get support 24/7 by phone, online chat, and text. They have lots of online resources and can even help you find help in your community. There are lots of information pages about topics related to mental health and mental illnesses too. Check it out! Chimo is a provincial crisis phone line, that is accessible 24hrs a day, 365 days a year to all residents of New Brunswick. CHIMO can help you by providing a listening ear, helpful information, crisis intervention and referrals to over 4000 resources in the province of N.B. Our service is non-judgmental and confidential. 211 connects people to the right information and services, strengthens Canada’s health and human services, and helps Canadians to become more engaged with their communities.New Brunswick is moving toward full 211 service, beginning with this database of services. The Link Program enables individuals with any kind of issues to access local help services through a Link Companion. We want to give a person the opportunity to resolve his or her issues before they escalate and lead to a more serious situation. CMHA of NB is working hard to raise awareness on mental health and provide education on mental illness which in turn helps remove the stigma so people reach out for support without discrimination. DOTS NB updated their cover photo.